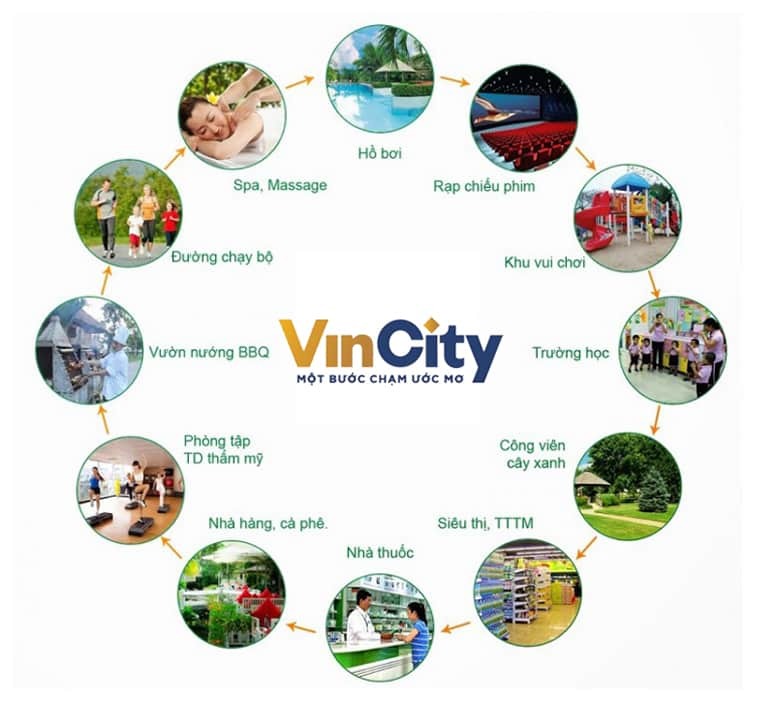 VINCITY is a brand of social housing and socialization of Vingroup, the biggest real easte group in Vietnam. VINCITY in District 9 brings a strange experience, a satellite urban area connecting convenient transportation infrastructure to other area in HCMC and neighborhood provinces. As well as the projects: Vinhomes Central Park or Vinhomes Golden River, Residents in VINCITY will enjoy full class facilities such as luxury living space apartments; Gym; Pool, Vinmec, Vinschools, Vinmart; BBQ Garden; Green Park with so many outstanding amenities. 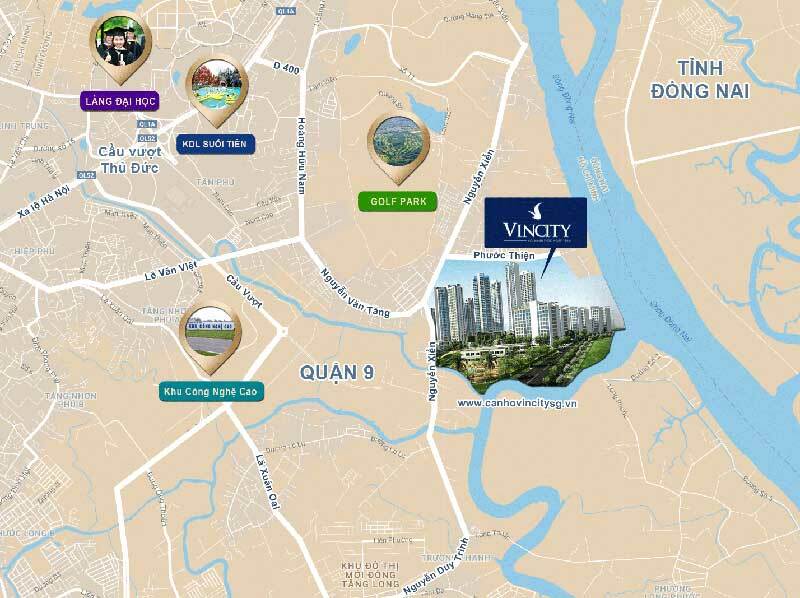 VINCITY is located in Long Binh Ward, District 9, Ho Chi Minh City on two large main roads are Nguyen Xien and Phuoc Thien street. This is also the last stop of the Ben Thanh - Suoi Tien metro line. - Route Mai Chi Tho through Thu Thiem tunnel, help connect District 9, District 2 and city center. In addition, Long Thanh Airport will be well connected in the future. It shows the real potential of Vincity, this is just the beginning period so the potential benefit in the project is very big. 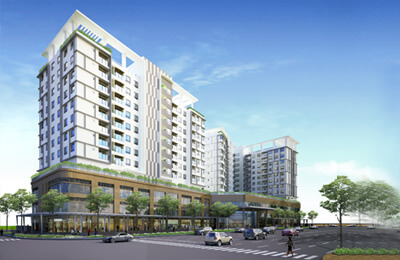 Location of Vincity: located in Nguyen Xien road, Long Thanh My Ward, District 9, Ho Chi Minh City. The international standard at Vinschools education system helps your child to be trained in a better environment. 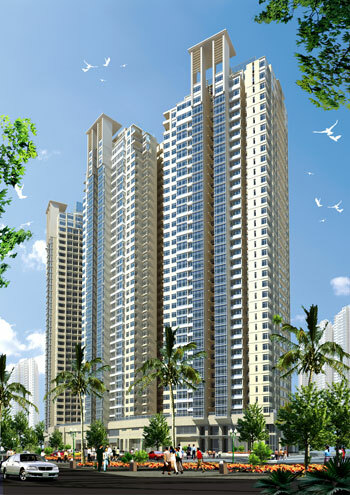 Large swimming pool, riverside park, children's playground, BBQ garden, jogging track. Help the residents enjoy life. Amusement Parks, Movie Theaters brings you relax after a hard working day. With a full range of facilities that will meet all the needs of the resident, you will enjoy a good living environment right in your home. Vingroup develops extremely diversified product lines with reasonable prices for low to moderate income. Therefore, VINCITY will be an intermediate product with reasonable prices for buyers, currently the proposed price of the company is around 700 million per unit. Depending on the area of ​​the apartment corresponding 1 BR; 2BR; 3BR will be priced from 700mil - 1.5 billion. With excellent utility and synchronization, VINCITY promises to boom as a terrible shopping fever in the market in District 9 nowadays. 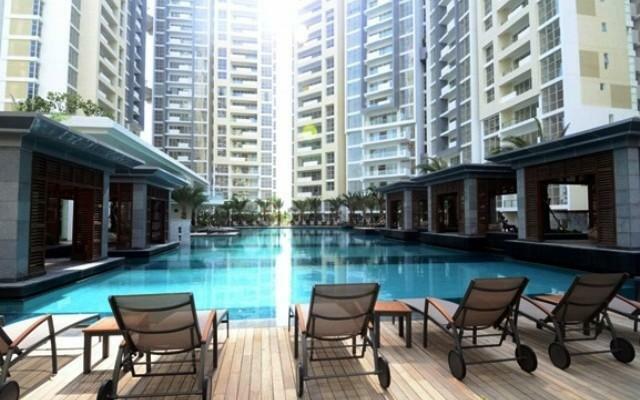 Apartment price is only about 700 million per unit, making the dream home is easier than ever. Vincity in District 9 owns a huge utility system, synchronously connected within the project. So everything your family needs will be closer to your home than ever before. 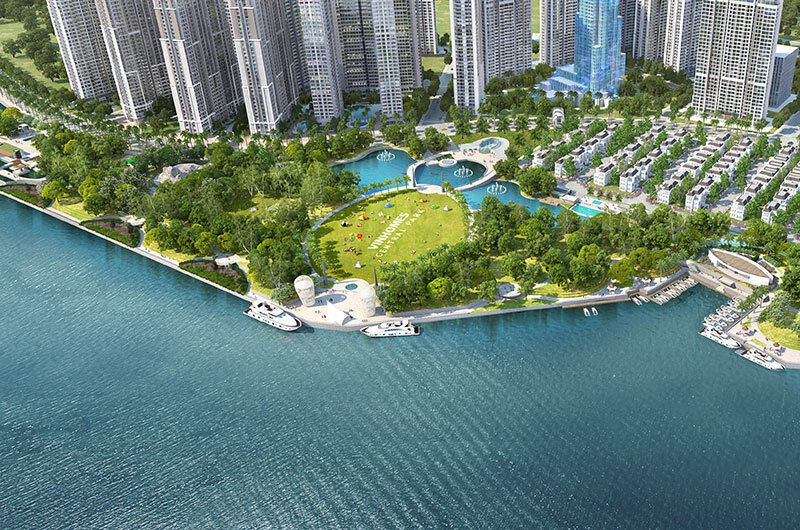 A green environment, fresh air, airy with two sides bordering Saigon River and Tac River. The bank offers many incentive packages when buying an apartment in the project and becoming a Vingroup member will enjoy many incentives after purchasing an apartment. Vingroup is one of the most prestigious real estate corporations in Vietnam, so you can be assured of a real estate project when you buy an apartment here. So do not hesitate to contact our Sales Department HOTLINE: 0909 288 281 (Viber/Whatapps/Zalo) for free consultant about VINCITY in District 09.